Dazzle is a Minecraft mod that adds way more lights and lamps than you will ever want or need. Originally made for ModOff 2018 while completely ignoring the theme - it's been updated since, though! Digital/analog versions of those lamps. Panel lights, that project light in a line up to 45 blocks in front of the panel. Big WIP, but usable. More things as I can think of them! Head on over to the Images tab to see what they look like! 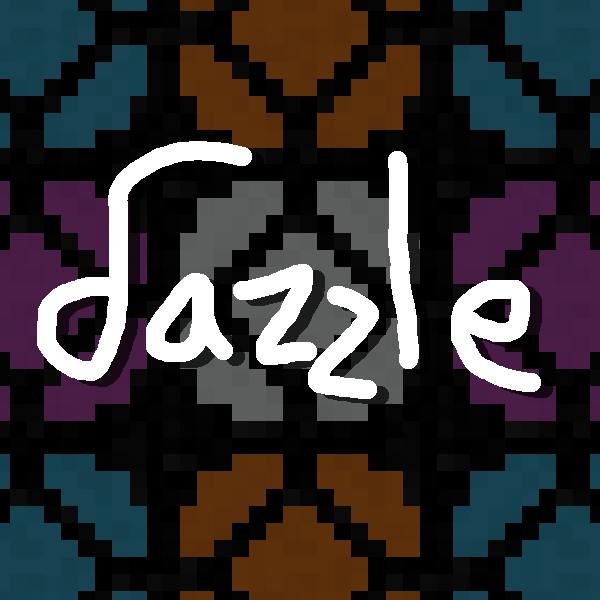 Note: Dazzle uses a large amount of block IDs (around 196). This won't be a problem in 1.13, but in the mean time, you can disable individual lamp styles in the configuration. There are four lamp styles, and each one you disable saves 48 block IDs. Nevertheless, all the lamps together use only four models and eight textures, so you won't reduce RAM usage by much. I hope to receive your reply. Can I translate this mod to the MCBBS forum in China? Thank you. This is the post I just finished. Please look over it. Is this mod still being maintained/updated. Do the blocks have a colored tint from the lamp? Or are they just lit up and the lamps are just colored for show? Nah, this isn't a colored lighting mod. It's essentially just 64 different reskins of redstone lamps, with some extra goodies like analog mode and inverted mode. How do I use the stadium lights? In version 2 I ended up removing the lights, but my "No u" still stands. Just FYI. Dunno where to put this but... a few suggestions for the Pulsating Light Blocks, if you don't mind. Might also work with the Modern Lights. A way to change direction of the 'pulse line' since it goes in one direction currently. At the moment it goes from Left to Right. Would be nice if it went from Right to Left, Up to Down, etc. A way to have the 'pulse line' be on the top & bottom of the block. Instead of a glowing dot you'll have the 'pulsing line' show on the top & bottom of the block. A way to connect the blocks to form some cool looking hi-tech texture. Like say you place down a few blocks and 'connect' them. Depending on the direction of the 'pulse line' it'll connect. Can make some cool pulse loop or a hi-tech pathway of some sorts. Could also work with the Modern Lights. Otherwise a neat mod, been looking for something like this for some time. Good ideas. Will be a little tricky right now because the pulsating light is just a plain old animated texture actually, but i'll look in to it! Reversing the direction is definitely possible; not sure about easily making the line vertical in a nice way. Maybe in 1.13 when I have more blockstates available. I added a suggestion on your github but just in case you don't go there often, please can we get inverted versions of all your lights, would be nice if they didn't need a redstone signal to be turned on, crafting recipe could be as simple as adding a redstone torch next to the lights in a crafting grid, that would save me quite a nightmare of working with damn vanilla redstone since enderio conduits are a thing of the past sadly. Crafted with glass and prismarine crystals, redstone dust or blaze powder respectively. It's a solid aquamarine/red/orange color, transparent and emits light. Looks like an end crystal. Emits light when a beacon shines through it. Can you please add Albedo support?